We’d love your help. Let us know what’s wrong with this preview of No Mean City by A. McArthur. To ask other readers questions about No Mean City, please sign up. My mother and father emigrated from Glasgow, Scotland after the end of WWII, and when I was a child in the 1970s, I recall going back to the "old country" every year or so to visit relatives. Through my preadolescent American eyes, Glasgow looked like something out of another era. Coal was still being used for household heating, milk was still delivered in glass bottles, everybody smoked either pipes or cigarettes, and dirty-faced little boys ran around the streets selling papers. My grandfather My mother and father emigrated from Glasgow, Scotland after the end of WWII, and when I was a child in the 1970s, I recall going back to the "old country" every year or so to visit relatives. Through my preadolescent American eyes, Glasgow looked like something out of another era. Coal was still being used for household heating, milk was still delivered in glass bottles, everybody smoked either pipes or cigarettes, and dirty-faced little boys ran around the streets selling papers. My grandfather, a veteran of WWI whose face bore disfiguring scars from a gas attack, lived in the Posilpark neighborhood. I recall feeling as though the area was quite safe and generally friendly. On our visits, my grandfather would take me on long walks all around Glasgow that would go on for hours and hours. I would complain, like the lazy, chubby little American boy that I was, but I nonetheless enjoyed accompanying him as he stopped and chatted with the people around the city and shared his days with me. Despite my fond memories of visiting Glasgow as a youngster, I never became truly fascinated by its history and culture until the death of my mother a few years ago. Since then I have traveled with my wife to visit surviving relatives, and I have begun to develop an interest in literature and movies set in this city. It has been a bit of a surprise to me to find that my childhood memories bear very little resemblance to the image of Glasgow as it appears in a whole group of popular books and films. Whereas the Glasgow I remember was a quaint, safe, friendly and homey place, Glasgow as it is depicted in literature and film is typically vicious, gang-infested and dangerous. 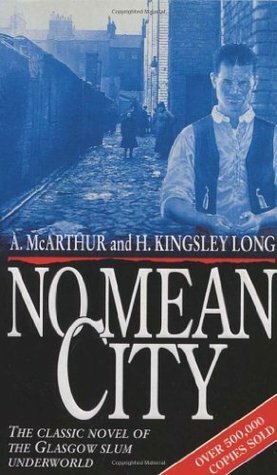 The book No Mean City is a prime example. Written in 1935, No Mean City takes place in the notorious Gorbals neighborhood of Glasgow. The story chronicles the lives of Johnnie and Peter Stark, two brothers following divergent life paths, who nonetheless are fated by social circumstance to meet tragic ends. Johnnie becomes "Razor King" of the slums, fighting and slashing his way to fearsome notoriety among the local gangs. Peter, on the other hand, tries hard to work his way to respectability and to enter the middle class as a manager at a local warehouse. The book's message is quite nihilistic: no matter how hard these brothers try to distinguish themselves and to rise above their circumstances, they will ultimately fail and be swallowed up by the overwhelming forces that drag all "slum dwellers" back down to their place. The book's "slum dwellers" are depicted as people who waste their lives drinking, fornicating and fighting. They have become so cynical that they don't even experience feelings of jealously when their husbands or wives are unfaithful. This is all just part of life in the Gorbals slums. Even those characters like Peter who attempt to achieve respectability through hard work ultimately end up succumbing to their socialization, resorting to violence and drunkenness when things don't go their way. Everyone in this book is doomed either to be destroyed by others or to self-destruction. Having made this observation, it is however true that No Mean City does have flashes of authentic psychological and existential insight. These insights, I think, transform the book into something more than mere exploitation. Psychologically, the authors have successfully given voice to certain fears and struggles that all human beings encounter, whether slum dwellers or not. In particular, the issue of how a person cobbles together a sense of self-respect and establishes a social identity is given a patient and extended treatment in this novel. We are granted honest access to the inner thoughts of both Johnnie and Peter as they make the decisions that end up molding who they become over the course of the story. These decisions don't come easy, and in them I think any reader will be reminded of turning points in his or her own life. There is something very truthful when, for instance, Johnnie considers the consequences of ignoring his ex-girlfriend's attempt to publicly humiliate him (Chpt. V.), or when Peter struggles with himself over the risks and benefits involved in leading his fellow workers in a strike (Chpt. XVI.) The internal dialogues presented in these and other sections of the work feel very real and familiar, and at such points the characters appear complicated, vulnerable and authentic. My aunt, who grew up in Glasgow, and who is now in her late 80s, tells me that she remembers reading this book when she was a youngster. With a laugh, she told me that she herself danced with a few "razor kings" as a teenager in prewar Glasgow. This is not the Glasgow that I experienced as a kid, but it apparently is a Glasgow that really did (and still apparently does) exist for some people. The lives of all of the inhabitants of this novel just seem so incredibly depressing, and fil This book primarily deals with the poverty in the slums of pre-war Glasgow. I found it to be quite horrendous in places, particularly in the gang mentalities and how difficult it was for people to get into an education or a career which would be good enough to allow them to escape the slums. It made me wonder whether I would be able to better myself in such a situation, and the answer was - probably not. No Mean City is a 1935 work of fiction that tells of life in The Gorbals district of Glasgow, Scotland. Written at much the same time that the novel depicts, it pulls few punches about the district's street urchins, gangland thugs and the few with ambitions to move on. The main character, Johnnie Stark, sees no future beyond The Gorbals and instead fashions his life around being 'top dog' in the dank and miserable arenas that are the tenement buildings and miserable public houses. Johnnie's keep No Mean City is a 1935 work of fiction that tells of life in The Gorbals district of Glasgow, Scotland. Written at much the same time that the novel depicts, it pulls few punches about the district's street urchins, gangland thugs and the few with ambitions to move on. The main character, Johnnie Stark, sees no future beyond The Gorbals and instead fashions his life around being 'top dog' in the dank and miserable arenas that are the tenement buildings and miserable public houses. Johnnie's keeps himself fit to fight hard and soon becomes known as the 'Razor King', carrying cut-throat razors in each of his waistcoat packets (see book cover) which he wields and slashes at the slightest provocation—and often at provocation of his own. I did not finish this book, not because of the story line or writing because what I did read of it was very good, I just could not understand or get away with the very broad Scottish dialect which made the continuity of reading very difficult. I may come back to it one day - it's a shame because the story was rolling along quite nicely. Having grown up in Maryhill In Glasgow and spent 25 years in the city I recognise the culture but not the time. Glasgow has moved on but you could still find this aspect if you so wished. I love Glasgow it' is a hard city but with a big heart. This review has been hidden because it contains spoilers. To view it, click here. Set in the Gorbals of Glasgow in 1920's, this is a quite horrendous insight into the gang mentallity especially of their leader, the Razor King, truely a product of his environment. A few tried to escape through education and hard work. A few managed oddly enough via their skills in the city's many dance halls but most sunk into the absolute poverty of the slums. The 'solution' was ultimately to demolish the Gorbals and send the inhabitants to the sprawling housing estates like Easterhouse in th Set in the Gorbals of Glasgow in 1920's, this is a quite horrendous insight into the gang mentallity especially of their leader, the Razor King, truely a product of his environment. A few tried to escape through education and hard work. A few managed oddly enough via their skills in the city's many dance halls but most sunk into the absolute poverty of the slums. The 'solution' was ultimately to demolish the Gorbals and send the inhabitants to the sprawling housing estates like Easterhouse in the 1950s or the high-rise flats of the 1960s -a whole new set of social issues including gangs and knives! A family of eleven sharing a two roomed apartment in Glasgow is hopefully consigned to history. More’s the pity however there is still much to identify with in the protagonists. The class conscious attitudes to ambition, respect and politics remain familiar to Glasgow 100 years later. "Whit dies it matter to the heid yins what happens in Gorbals or Bridgeton of Garngad or Anderston, or in any other bliddy slum in Glasgow for that matter, so long as we keep quiet? Do they care hoo we live or whit A family of eleven sharing a two roomed apartment in Glasgow is hopefully consigned to history. More’s the pity however there is still much to identify with in the protagonists. The class conscious attitudes to ambition, respect and politics remain familiar to Glasgow 100 years later. 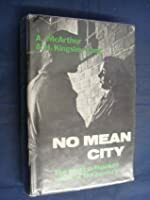 A rather depressing book dealing with the dark side of Glasgow's slum world, in one of it's most infamous and toughest neighbourhoods, the Gorbals. Johnnie "the Razor King" Starks is the despicable gangster who loves to fight with razor blades and pummelling every woman in his life, a real charmer. Glasgow has its hard history, and this book goes out of its way to glorify it. Very interesting insight to Glaswegian culture in the 1920s and beyond. A strong evocation of a time and a place, while also a timeless depiction of the harsh, hopeless nature of poverty. Gritty & hopeless. I thought the story was quite fascinating and love the depictions of life in the slums. It was a real eye opener. The whole book left me feeling sad though. Glasgow as it was, and sometimes still is. If you love hard city with a soft heart then you must read this classic book. Unsavoury and sensational. An exercise in naturalism without artistic pretensions but of documentary interest. Ugh, badly written and sensationalist.